Adolf “Dolfo” Galland was born on 19 March 1912 at Westerholt, Westphalia. At the age of 17 he started flying gliders. He began flying for Lufthansa after graduating from the German Commercial Air Transport School at Brunswick. This was at a time when the German Air Arm was created, following Hitler's rise to power, and students were sent clandestinely to the Soviet Union and Italy. In February 1934, he joined the Luftwaffe, an accomplished pilot and instructor, at the Fighter Pilot School at Munich-Schleissheim. By April 1935 he was a fighter pilot with Jagdgeschwader 2 “Richtofen”. In 1937, he volunteered for service with the Condor Legion in Spain. Galland was put in command of 3 Staffel of J/88, equipped with the Heinkel He-51 biplanes, which were used in the ground attack and support role. He distinguished himself, especially on the Asturias, Teruel and Ebro fronts, completing 280 combat sorties before being relieved by Werner Mölders in mid-1938. He had met Mölders in the hotel "Cristina" where they were billeted, and they were to become firm friends. 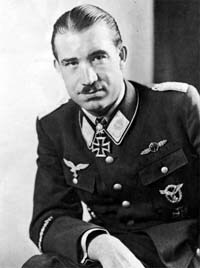 Galland’s many original contributions to ground support techniques brought him to the attention of the Luftwaffe High Command. However, his reward for the innovative work in Spain was flying a desk in the Air Ministry working out directives for the organisation of close support units and the training of fighter pilots in direct support operations. When World War 2 broke out Oberleutnant Galland was a Staffelkapitän of 4. (S)/LG 2 equipped with the Henschel Hs 123, a biplane Stuka. He took part in the invasion of Poland flying 50 ground attack missions.  Galland was awarded the Iron Cross, Second Class for his efforts. Galland was posted away to JG 27 at Krefeld, arriving there on 15 February 1940. He was assigned to the Geschwaderstab and assumed the role of Geschwader Adjutant. On 12 May, west of Liege, Belgium, he scored his first aerial victory. Two more victories followed that day. All three victims were RAF Hurricanes. By the end of the French campaign he had accumulated 14 victories. On 6 June 1940, Hauptmann Galland was appointed Gruppenkommandeur of III./JG 26. Promoted Major on 18 July, Galland stayed with III./JG 26 through the Battle of Britain. Major Adolf Galland after scoring his 40th victory on 23 September 1940. Galland is greeted first by his crew chief Uffz. Mayer. On 24 July, Galland led III./JG 26 over the north coast of the Thames Estuary. Here they engaged Spitfires and Galland was able to shoot one down to the north of Margate. He had shot down the British ace P/O “Johnny” Allen (7.333 confirmed and 5 unconfirmed destroyed victories) of 56 Sqn, RAF, who was killed in the crash-landing that followed this combat. On 28 July, RAF fighters were scrambled to intercept a large German bomber formation headed for Dover. When confronted by the RAF fighters, the German bomber formation promptly headed for home. The RAF fighters were thus left to combat the escorting German fighters of I. and II./JG 51 and III./JG 26. 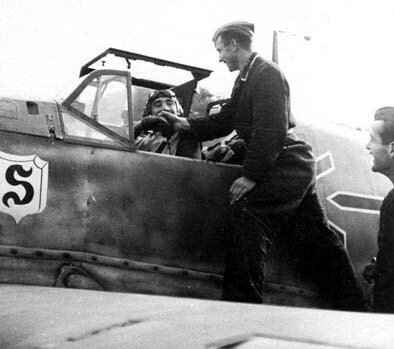 Galland claimed a Spitfire shot down near Dover for his 17th victory. He had shot down another British ace, Sub-Lt Francis Dawson-Paul (7.25 confirmed and 1 unconfirmed destroyed and 1 damaged victories), a Royal Navy pilot on loan to the RAF. Dawson-Paul was shot down into the Channel where he was picked up by a German E-boat, but he died from the wounds received in this combat on 30 July. Galland was awarded the Ritterkreuz on 1 August for 17 victories. It is thought he again shot down a notable RAF pilot on 15 August, when he brought down the New Zealand ace F/Lt “Al” Deere (17.333 confirmed and 2.5 unconfirmed destroyed, 4 probable and 7.5 damaged victories) of 54 Sqn, RAF. Deere baled out of his Spitfire between Dover and Folkestone. On 24 September, Galland downed his 40th victim, another notable RAF pilot, Harold Bird-Wilson (5.2 destroyed, 3 probable and 3 damaged victories) of 17 Sqn, RAF who baled out badly burned near Chatham. Galland was awarded the newly instituted Eichenlauben on 25 September. By the end of September he had 42 victories. On 1 November 1940, Galland was promoted to Oberstleutnant and given command of JG 26. He had 50 victories to his credit. JG 26 was escorting the Bf 110 fighter bombers of EprGr 210 on a raid of Martlesham Heath on 17 November. The formation was intercepted by RAF Hurricanes. In the ensuing combat, Galland claimed a Hurricane shot down. The pilot, ace Count Manfred Czernin (17 destroyed, 3.5 probable and 3.833 damaged victories) of 17 Sqn, RAF, baled out unhurt. On 21 June 1941, Galland shot down a Spitfire east of Boulogne. He, in turn, was shot down, by the Polish ace Boleslaw Drobinski (7.133/1.333/0 victories) of 303 Sqn, RAF, and baled out wounded. Shortly after, he was awarded the Schwerten to his Ritterkreuz. Galland had, by now, been ordered by Hitler and Göring not to fly combat missions. However, he disregarded these orders and continued to rack up aerial victories. On the death of Oberst Werner Mölders (115 victories, RK-Br) on 22 November 1941, Galland was named General der Jagdflieger. Before settling into his new job, Oberst Galland directed the fighter protection for the Channel dash of the battleships Scharnhorst and Gneisenau, and the heavy cruiser Prinz Eugen, from Brest. Operation Donnerkeil was a striking success. He was awarded the Brillanten to his Ritterkreuz on 28 January 1942 with his victory tally at 94. As General der Jagdflieger, he commanded a small unit operating Fw 190s. He flew about 10 combat missions and, it is thought, he gained two victories over USAAF B-17 bombers during 1944. It remains unsure whether his claims during this period were submitted or confirmed. Stab G.d.J claimed two B-17s shot down on 8 March 1944 and it is thought Galland may have been one of the claimants. Galland became one of the most controversial figures of his time through his skirmishes with Reichsmarschal Göring and his frank addresses to Hitler when he emphasized the need for more fighters to oppose the increasingly intense allied bombing raids over Germany. Galland’s contemporaries in combat commands eventually began planning to force Göring’s resignation, by seeking an audience with Hitler. Although Galland took no direct part in such activities, he was aware that all this was in train. In the denouement, Göring attributed the incipient mutiny to Galland, sacked him and prepared a trial in which blame for the collapse of the Jagdwaffe would be directed to the General der Jagdflieger. Hitler intervened but then insisted, as an end to the “Galland affair”, that he be given command of a unit of jet fighters. Galland led JV 44 until 26 April 1945 gaining up to seven victories flying the Me 262 jet fighter. On this day Generalleutnant Galland led 12 rocket-equipped Me 262s from München-Reim to intercept a formation of B-26 medium bombers targetting the airfield at Lechfeld. He claimed two of the bombers, but with cannon-fire rather than the rockets with which his Me 262 was armed. During his initial approach, Galland had failed to deactivate a safety switch which prevented him from firing the rockets. During his attacks on the bombers, Galland’s Me 262 was struck by return fire. Disengaging from the bombers, he was bounced by a P-47 flown by 1st Lt James J Finnegan of the 50th Fighter Group, USAAF. Galland was wounded in the right knee and his aircraft received further damage. He was able to bring his crippled jet back to München-Reim and successfully land, albeit with a flat nose wheel tyre. He was forced to leap from his aircraft and take shelter because the airfield was under attack by American fighters. The wound suffered in this encounter were serious enough to end his combat flying. Galland surrendered himself to American forces at Tegernsee on 5 May 1945. He was held in military custody for two years. He was released in 1947. In October 1948, Galland took a position with the Argentine Air Force. There followed many offers to act as consultant to armament firms who would equip the new Luftwaffe. He made his choices and settled down to prosperous and lively decades as a businessman. In his final years he divided his time between his home in Germany and his bungalow by the Alicante coast of Spain. Adolf Galland passed away on 9 February 1996 at Remagen-Oberwinter. Adolf Galland achieved 104 aerial victories in 705 missions, all on the Western front. Included in his score are at least seven victories flying the Me 262 and four four-engined bombers. He was himself shot down four times. - B-17 Stab G.d.J. unconfirmed ?